Your thoughts are as important as anyone's. Don't be afraid to stand up and share them. At some point in your career and/or education, you will probably be asked to stand up in front of people and give a talk or otherwise present some kind of information. Some of us find this prospect far more intimidating and uncomfortable than others. 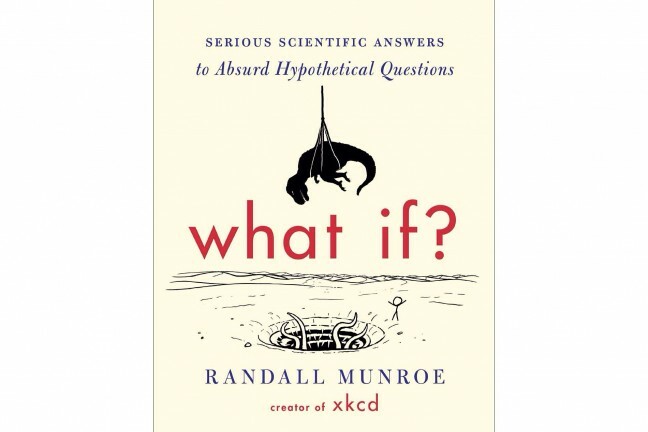 Today’s entry in our Books to Make You a Better Human book guide series offers a few books to help you out. If you’re terrified about an upcoming speaking opportunity, read these and study them beforehand to not only get comfortable with the idea, but feel confident in your ability to deliver a presentation worth remembering. 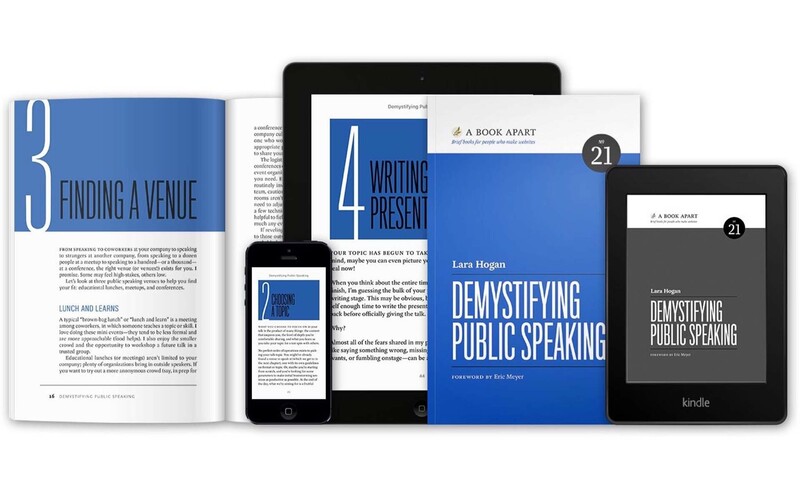 Demystifying Public Speaking by Lara Hogan. Don’t think public speaking is for you? It is—whether you’re bracing for a conference talk or a team meeting. Lara Hogan helps you identify your fears and effectively face them, so you can make your way to the stage (big or small). […] You’ll feel confident and equipped to step into the spotlight. You’ll learn about choosing talk topics, facing your fears about speaking, writing (and practicing!) your presentation, finding speaking venues, prepping on event days, and more. 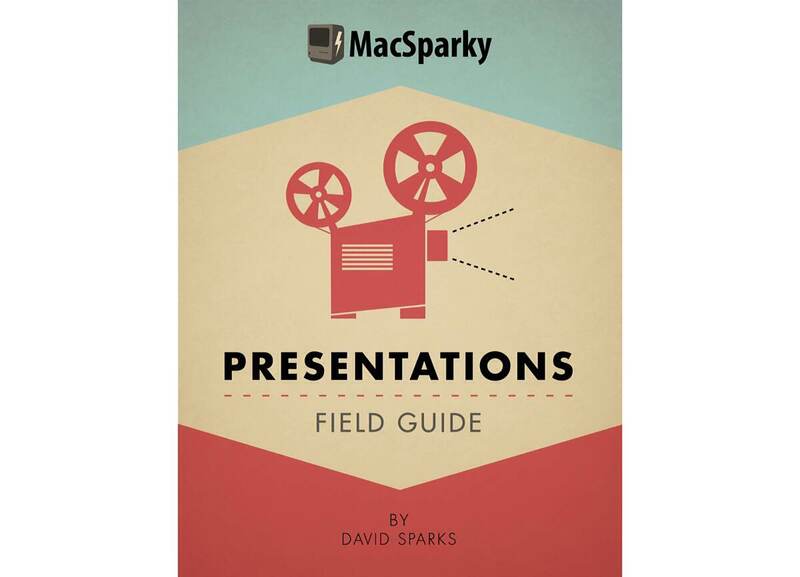 Presentations field guide by David Sparks. With a primary focus on Apple’s Keynote software — and filled with 44 screencasts, audio interviews, and other rich media assets — David shows you how to plan an exceptional presentation that will connect with and delight your audience. He stresses the importance of telling a story rather than reading off bullet points out loud, how to make stunning presentation slides, and more. The Elements of Eloquence by Mark Forsyth. 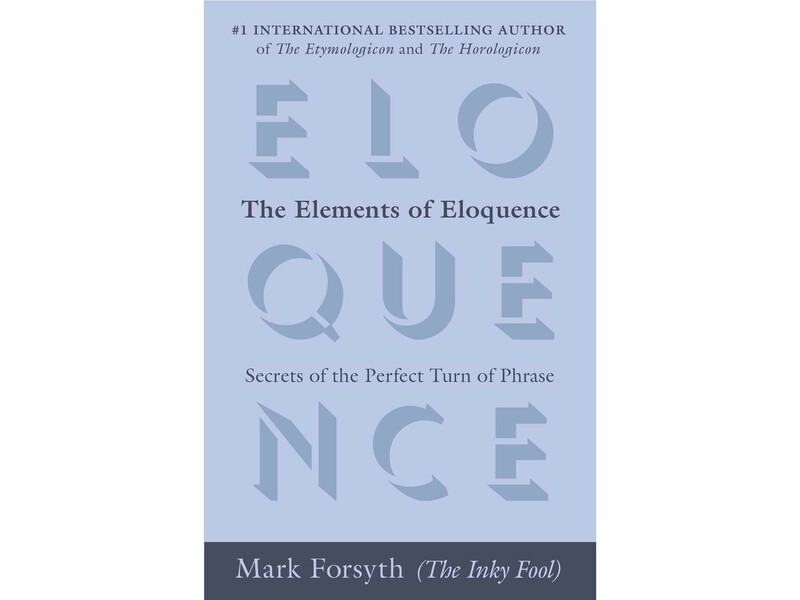 Mark Forsyth’s book, The Elements of Eloquence: Secrets of the Perfect Turn of Phrase — sometimes seen with the subtitle, How to Turn the Perfect English Phrase — is an ode to the importance of linguistic style. The gist is that it doesn’t always matter what we say so much as how we say it, and Forsyth teaches the tricks to make anyone’s words sing. This is a wonderful book for anyone wanting to become a more memorable speaker (or writer). […] adjectives in English absolutely have to be in this order: opinion-size-age-shape-colour-origin-material-purpose Noun. So you can have a lovely little old rectangular green French silver whittling knife. But if you mess with that word order in the slightest you’ll sound like a maniac. It’s an odd thing that every English speaker uses that list, but almost none of us could write it out. And as size comes before colour, green great dragons can’t exist. You can spend all day trying to think of some universal truth to set down on paper, and some poets try that. Shakespeare knew that it’s much easier to string together some words beginning with the same letter. It doesn’t matter what it’s about. 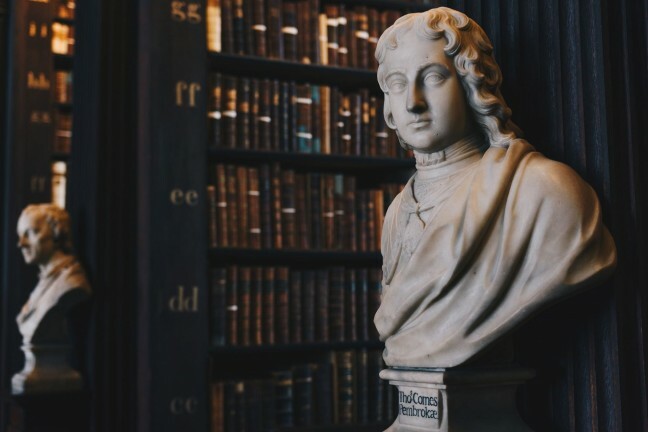 It can be the exact depth in the sea to which a chap’s corpse has sunk; hardly a matter of universal interest, but if you say, “Full fathom five thy father lies,” you will be considered the greatest poet who ever lived. Express precisely the same thought any other way—e.g. “your father’s corpse is 9.1444 metres below sea level”—and you’re just a coastguard with some bad news. Bartlett’s Familiar Quotations by John Bartlett and Geoffrey O’Brien. This one might seem like a stretch, but hear me out. When you’re crafting presentations or otherwise preparing to speak in public, there will be times that you simply feel uninspired. 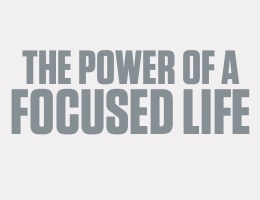 A bit of fresh perspective can be just the thing to jumpstart your mind and get you back to work. You may also want to sprinkle an inspiring quote or two into your talk. 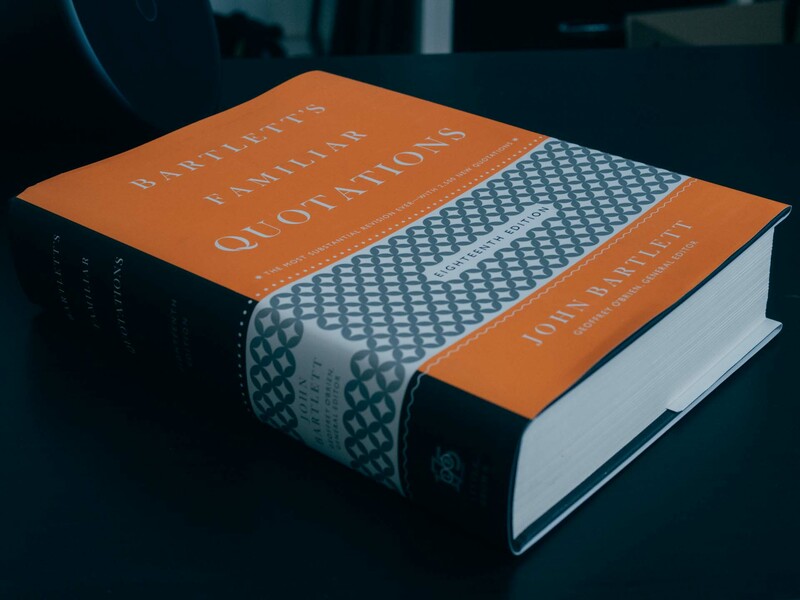 Bartlett’s Familiar Quotations is jam-packed with interesting, inspirational, and memorable quotes. Open to any random page and you will be serendipitously treated to a wonderful nugget of wisdom or inspiration. Among the things Bartlett’s does better than some former Star Trek star posting quotable memes on social media is that these are vetted. They are sourced. You know who really said them. Don’t speak at a fundraiser and say, “J. K. Rowling said…” when, in fact, it was actually in the Bible, Shakespeare or Bob Dylan. Bartlett’s will help you there. The first edition of this book was compiled by John Bartlett in 1855 and was a mere 258 pages thick. 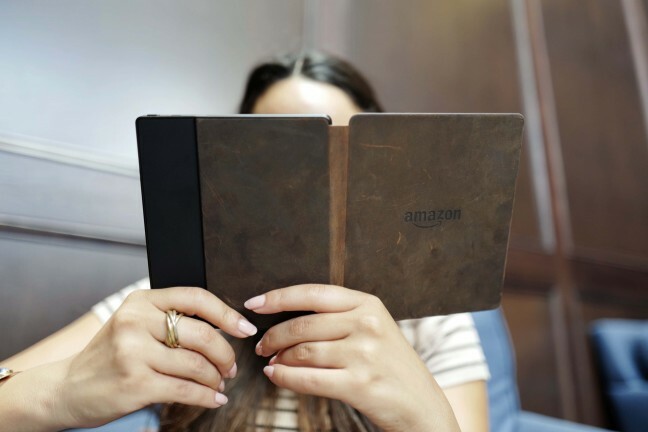 Today, the 18th edition weighs in at 1,500 pages and is better than ever. When you’re not using it as a reference for public speaking, it also makes for great reading on a lazy afternoon.